Image notes: This was a fun experiment with light painting. 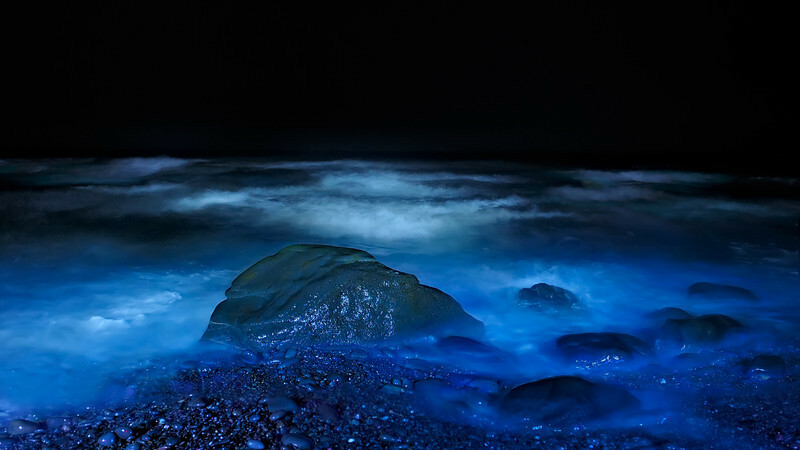 I used a fairly powerful LED flashlight to paint in close with a blue gel over it and for the distant waves bare/no gel. Finally, I used just a trace of a red LED flashlight in the foreground. My wife assisted with the light painting.